Several weeks ago, Mary Raymond wrote a guest post called “The Mysterious Discipline” – by far the best explanation of meditation I’ve ever read. For the first time, it made sense to me. Inspired by her piece, I offered a Bacon Meditation Challenge: please join Mary and me for Oprah and Deepak Chopra’s 21 Day Meditation Experience – Manifesting Grace Through Gratitude – beginning December 1st. The commitment: 20 minutes and $2.40 a day (their charge, not mine). It seems like a good time of year to practice peace. Let’s compare notes at the end of the month! Did you make it all 21 days? Did you continue your practice? Or – did you find that its benefits remained elusive? Whether you’re joining us for meditation or not, you might be looking for a beautiful, contemplative read for December. 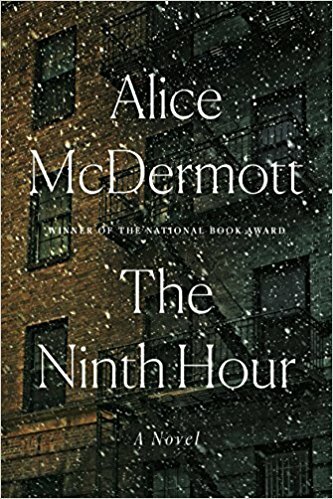 My top pick: The Ninth Hour, by Alice McDermott, possibly my favorite book of the year. The Ninth Hour is McDermott’s love song to the nuns of the early 20th century who served the poor. It doesn’t idealize them, but it shows God’s work through human hands in the world. The main characters are a pregnant widow living in a Brooklyn tenement (and subsequently her child) who come into their care. The Ninth Hour glows gently with sorrows and loves, hope and death and life. Thanks for the wonderful recommendation, Mary Jo Shankle! And finally: The “Book Clubs” shelf at Parnassus (where they feature local book club picks) is always on my radar. Your local indie bookstore probably has one of these shelves! 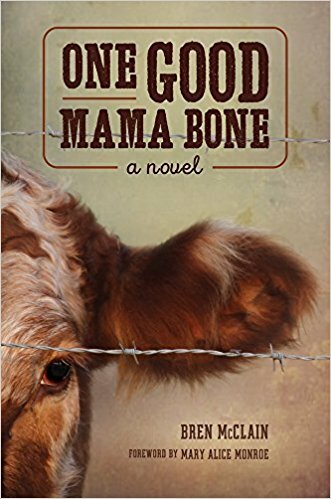 Don’t hesitate to call Kathy at Parnassus for ideas about what clubs are reading and enjoying now. I’m still working on not falling asleep during my (almost) daily 10-minute meditation (thanks to Andy at Headspace!). But I’ll keep trying! I think 20 minutes might do me in… But I can’t wait to hear how your challenge goes! I’m eager to see how the Bacon Meditation Challenge participants feel at the conclusion of the 21 day experience. I believe that meditation is kind of an acquired taste and its benefits are best experienced over time. Hopefully if nothing else we will enjoy a collective calm in one of the more frenetic times of the year. Also: I just added The Ninth Hour to my hold list at the library. Thanks for all these good recommendations! Thank you for the shout out for Sallie’s cookbook! It has been my go-to gift for graduates and newlyweds for years. 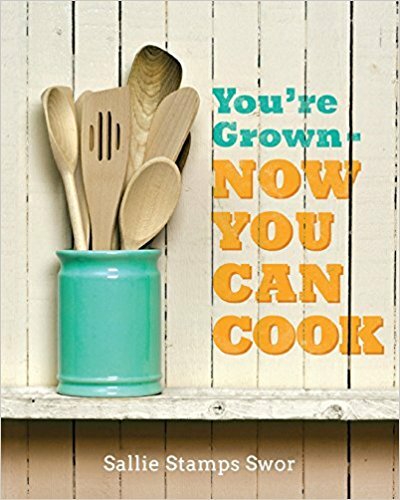 I also heartedly recommend her latest book, just out, “You’re Grown Now You Can Throw A Party”. It is perfect to help get you through holiday entertaining…no matter what your age! I’m in. December here we come! I’m a new follower — loved Mary’s article so count me in! Which program are we doing? Now that I know that Sallie is also a Rhodes College grad like me, I’ll definitely have to check out her new cookbook! And I’m definitely going to check out The Girl with Seven Names now, too. Thanks for some ideas for new reading material!